At the 2015 Esri Federal GIS conference in February, Esri announced that the newly launched Hexagon Imagery Program, which provides ready-to-use imagery services, will be available to Esri users through the ArcGIS Marketplace. These services deliver high-resolution aerial imagery as ready-to-use basemaps and analytical subscription services. 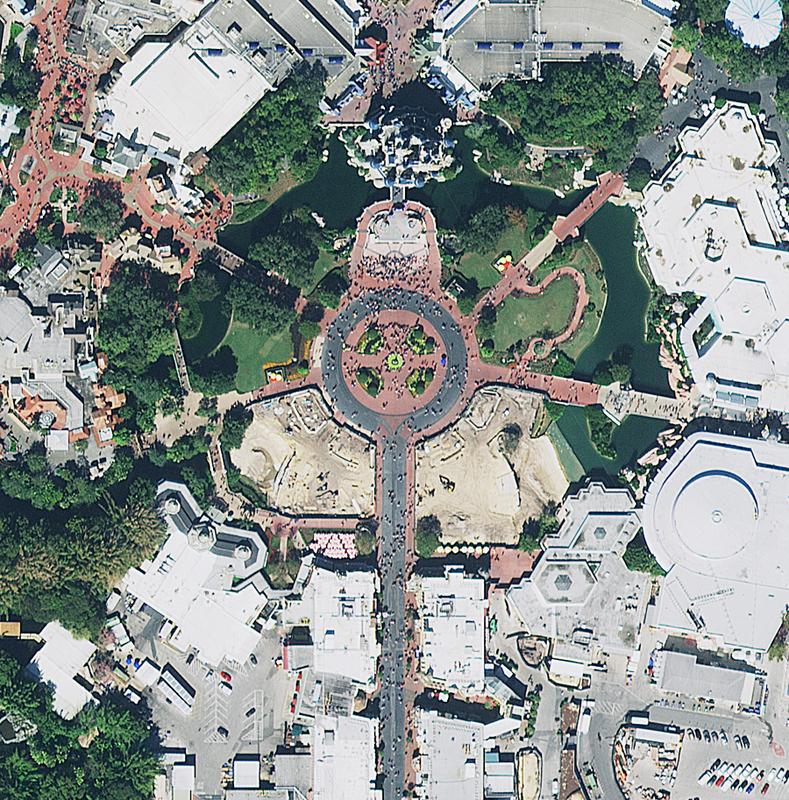 Esri, Hexagon, and Leica have joined forces to provide premium imagery to Esri users. Hexagon is a world leader in sensor manufacturing, with its Leica family of cameras and imaging sensors. These Leica sensors have been deployed on a fleet of aircraft that continuously image the earth, providing a regularly refreshed stream of imagery delivered to your applications of choice. Powering these images is the ArcGIS platform, deployed into the Amazon Web Services (AWS) cloud. Utilizing the expansive reach of AWS, these services are pushed to regions closest to you, providing the fastest and most responsive cloud-based imagery service experience possible. Because these services are powered by the ArcGIS platform, you have the support of a powerful, dynamic web GIS. The Hexagon Imagery Program includes two imagery services that are live and available now on the ArcGIS Marketplace as basemap and dynamic image services. The Basemap Service is a cached basemap imagery service consisting of 30-centimeter true color imagery that is updated on an ongoing basis. This service provides a backdrop to your GIS and has been optimized to perform quickly over mobile devices and web clients. It provides fresh, fast-performing imagery that can be loaded onto web applications and mobile devices. These cached tiles follow the same design as the existing basemaps in ArcGIS Online. This means that users can switch back and forth between the Hexagon Imagery Program Basemap Service and the free ArcGIS Online basemaps and see the same level of detail at each scale level. This premium basemap is ideal for use in the field for infrastructure inspections and in organizational basemaps used in focused web applications as well as a foundation to derive context for other GIS layers. The Multispectral Imagery Service provides access to the original pixel values for all four bands (red, green, blue, and near infrared) of the 30-centimeter imagery. This dynamic image service is ready to use for rich image analysis and exploitation activities in ArcGIS for Desktop, ArcGIS Pro, web and mobile apps, and supported Esri partner applications. Native to this service are several views to aid in analysis. Users can view this service as color infrared, color normalized difference vegetation index (NDVI), and scientific NDVI. While there are many types of imagery sources available on the market today, high-resolution aerial imagery provides an unprecedented quality and resolution that is not available from spaceborne sensors. These services are designed to support a wide range of industry needs. 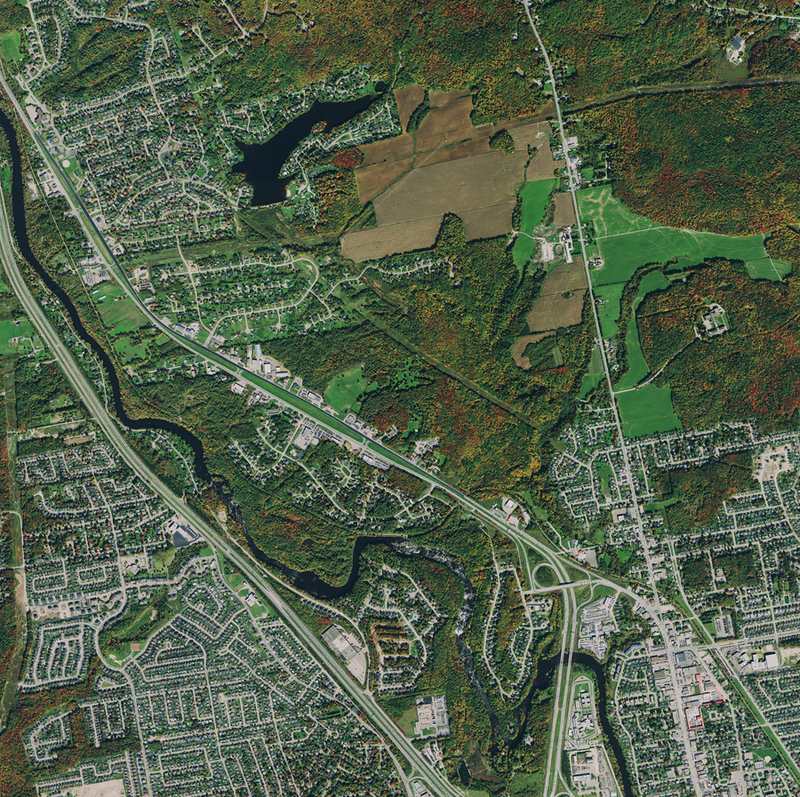 Local governments rely on aerial imagery for many critical tasks including tax assessment, emergency services, planning, and resource management. The time to contract for imagery collection, processing, and delivery has proved to be longer than most local governments would like. Additionally, the cost to store, manage, and serve this imagery to users has not been trivial. Through the Hexagon Imagery Program, the collection, storage, and serving of imagery have been streamlined through a set of cloud-based subscription services, freeing up staff to perform the critical tasks that keep our communities running smoothly. The Hexagon Imagery Program includes Basemap Service and Multispectral Imagery Service. 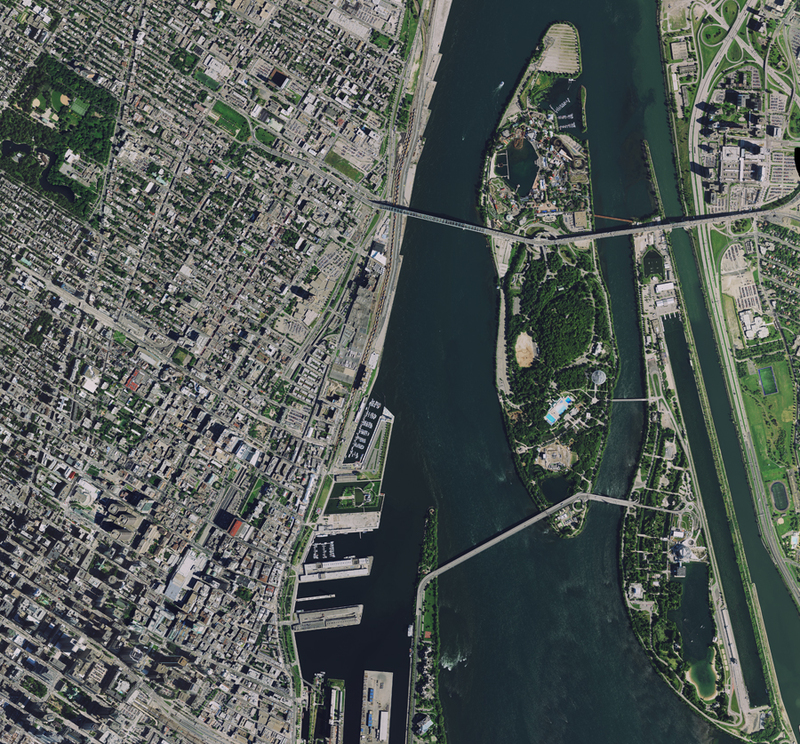 The Basemap Service is a 30-centimeter true color imagery that is updated on an ongoing basis and optimized to perform quickly over mobile devices and web clients. The Multispectral Imagery Service provides access to the original pixel values for all four bands (R, G, B, NIR) of the 30-centimeter imagery. Utilities manage assets that power our world. Many of these assets exist in locations that present extreme accessibility challenges. Instead of risking personnel, utilities rely on high-quality imagery to monitor and assess the condition of assets. Utilizing Hexagon Imagery Program subscription services, utilities can remotely assess the state of vegetation and man-made encroachments to corridors, identify gas and oil leaks, and perform regular maintenance planning before stepping into the field. Access to these services is available through the ArcGIS Marketplace. These services are sold on a subscription basis for your areas of interest. 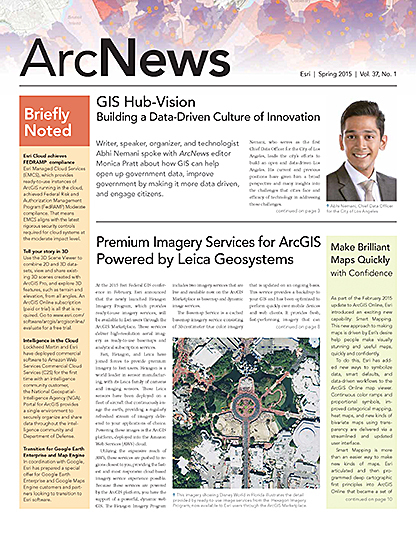 A single subscription includes access to both the Basemap and Multispectral Imagery services. This unique bundling of capabilities lets organizations deliver both fast-performing basemaps and analytically capable multispectral services using just one subscription. For more information, go to the ArcGIS Marketplace, find the Hexagon Imagery Program offerings, and select Free Trial. If you don’t already have an ArcGIS Online account, you can create a free ArcGIS Online trial account.